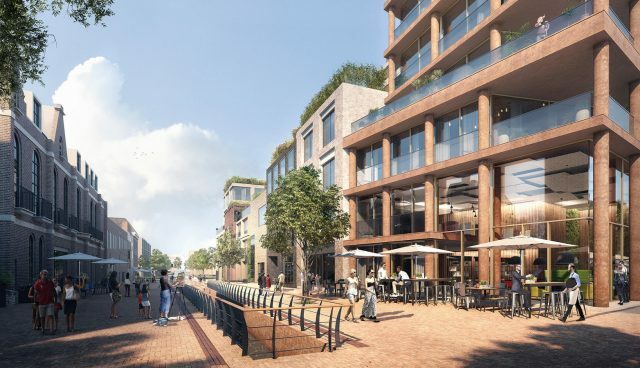 The city of Arnhem is growing and becoming more attractive for the new urban citizen interested in residential areas where activities, commercial areas and shared facilities create an inclusive city atmosphere. 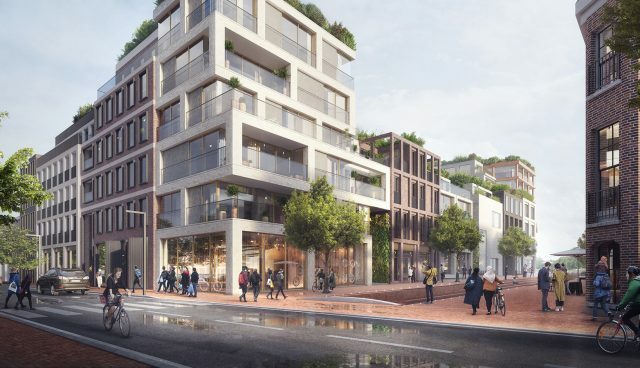 A so-called ‘New Luxury’ is what these urban citizens have in common. 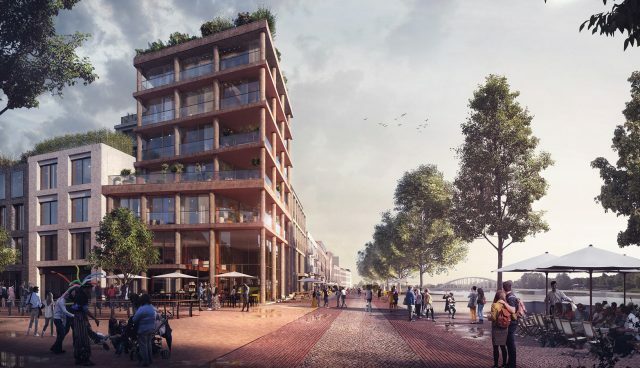 OZ designed a luxurious housing plan combining a mix of public, semi-public and private spaces in a rich and characterful central neighborhood; connecting downtown city life with the river Rijn. 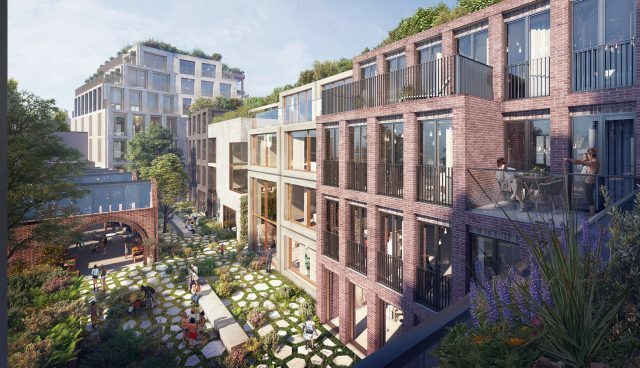 The design St. Janswerf is a development of a modern residential ensemble consisting of four Townhouses in the middle and two apartment blocks. 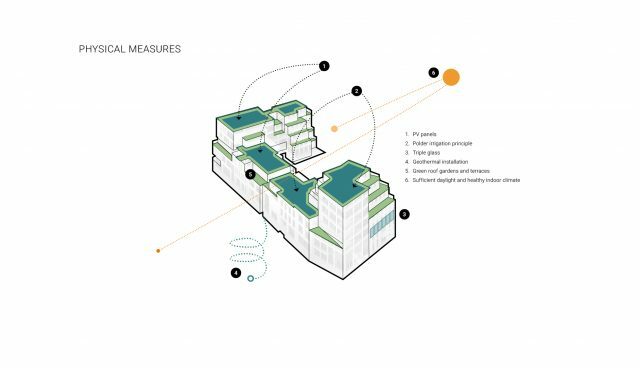 In total, a program of six “solids” which aims for a sustainable and long lasting built environment. 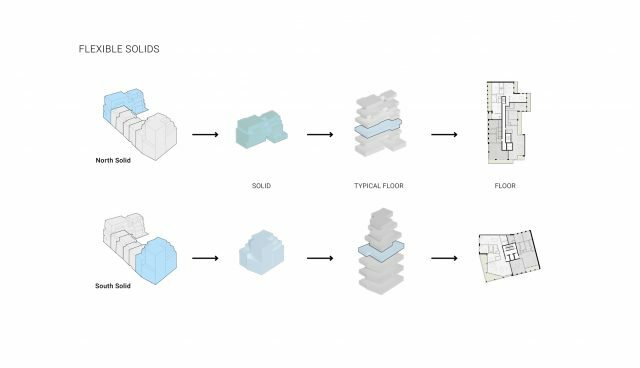 Within these structural work solids rearrangements or changes in interior configuration can take place and therefore accommodate new functions. 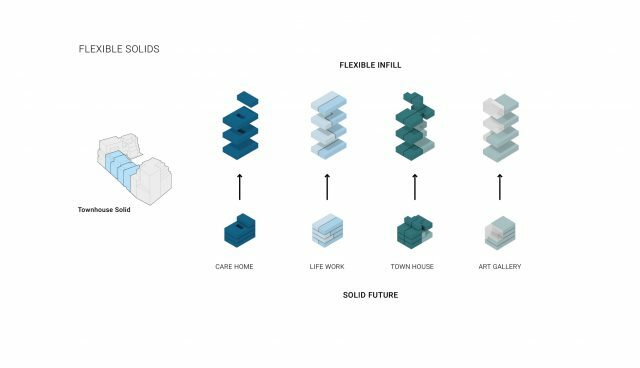 While their urban image and identity will endure, these solids ensure a flexibility whereby future changes can easily be realized. 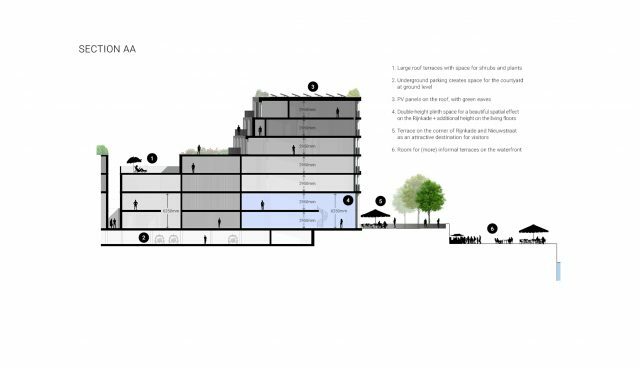 Furthermore, the design includes common facilities like a shared courtyard, a public food hall at eye level and an underground parking for optimal use of ground surfaces. 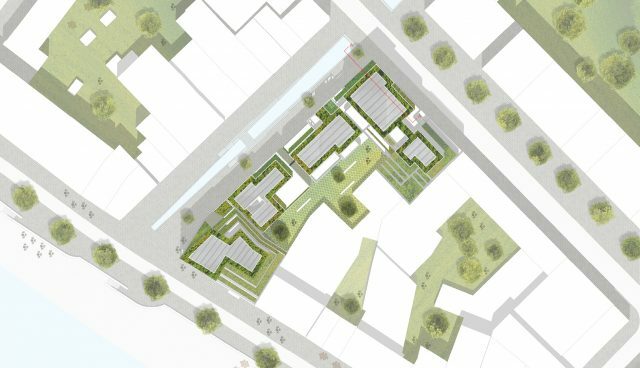 The choice of combining different building typologies and ways of life, the inclusion of diverse commercial plinths and private- and working spaces as well as the intertwining of greenery form a sustainable and inclusive neighborhood that welcomes the new ‘’city user”.